Farmers, ranchers and forestland owners in Georgia who suffered damage to working lands due to Hurricane Michael but were not eligible for previous signup period are being reminded the extended signup period ends Friday, April 19. Georgia State Conservationist Terrance O. Rudolph with the USDA Natural Resources Conservation Service (NRCS) and Farm Service Agency (FSA) State Executive Director Tas Smith have been working to ensure all available USDA resources are being utilized. As a result, producers in the eligible region will be able to seek assistance for the USDA programs right for them. The Emergency Conservation Program, administered by FSA, helps farmers and ranchers to repair damage to farmlands caused by natural disasters. 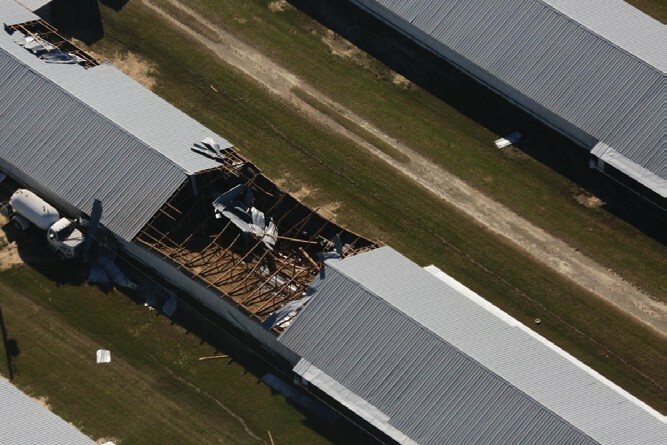 Although it’s not a true disaster or emergency program, the Environmental Quality Incentives Program (EQIP), administered by NRCS, helps producers address natural resource concerns that can result on their own or after a disaster like Hurricane Michael. In this case, EQIP will help non-industrial forestland owners with debris removal, site preparation, tree planting and prescribed burning. Agricultural producers and non-industrial forestland owners in 48 counties (Baker, Ben Hill, Berrien, Bibb, Bleckley, Brooks, Burke, Calhoun, Clay, Colquitt, Cook, Crawford, Crisp, Decatur, Dodge, Dooly, Dougherty, Early, Emanuel, Grady, Houston, Irwin, Jenkins, Laurens, Lee, Macon, Miller, Mitchell, Montgomery, Peach, Pulaski, Quitman, Randolph, Schley, Seminole, Stewart, Sumter, Taylor, Terrell, Thomas, Tift, Toombs, Turner, Twiggs, Washington, Webster, Wilcox and Worth) are eligible to apply.